The Oklahoma Highway Patrol reported a personal injury collision occurred about 5:15 p.m. Saturday at the Sarge Creek ORV Area, about one-tenth of a mile north of SH11, which is located about 1.6 miles east of Kaw City, OK in Kay County. 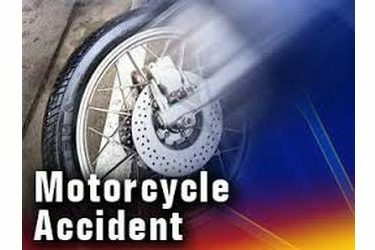 The patrol said the accident involved a 2005 Yamaha YZ85 Motorcycle driven by a 13 year old juvenile male whose name has been withheld, from Burbank, OK. The teenage boy was transported by AirEvac to Wesley Medical Center in Wichita, KS in stable condition with head, trunk internal, and leg injuries. The Highway Patrol’s report stated that the motorcycle was westbound on an ATV trail. The driver stated he was in fourth gear when the rear of the vehicle moved to the side due to a rut in the trail. The driver lost control, causing the vehicle to strike the ground. The driver impacted a tree as the vehicle went to the ground. A helmet was in use by the driver. The condition of the driver was apparently normal and the cause of the collision is attirbuted to unsafe speed for the type of roadway, which was a dirt trail. Investigated by Trooper Robert Regnier #219 of the Pawnee/Osage County detachment. Assisted by Trooper Adam Beck #700 of the Kay/Noble County detachment, Kay County Sheriff’s Office, Ponca City Fire and EMS, and AirEvac.